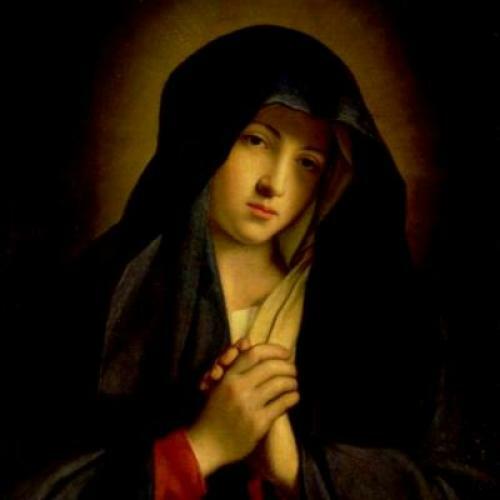 The Testament of Mary is not a riff on the New Testament gospels, nor an updating of them: it is a gospel, to be fit snugly up against the gospels of Matthew, Mark, and Luke. If such a claim sounds incredible, that is the point. Colm Tóibín’s implicit premise in this short new book is that the earlier versions of the life of Jesus were incredible, too—or semi-credible, reliant on rumor, hearsay, and the authors’ wishful thinking. This testament comes twenty centuries later, and is obviously a fictional product, but so what? The other testaments were fictions of their time. And yes, the narrative voice in The Testament of Mary is very twenty-first-century, more reminiscent of restrained, elliptical, modernism than of the capital-B Bible—but that Bible voice was just a product of the translators assembled by King James in the early seventeenth century, the Tóibíns of their time. So while The Testament of Mary is a first-person novella, the life of Jesus as told by his mother, it is also an argument about the contingent nature of the Christian tradition. Tóibín never makes that argument explicitly, and his book works just fine without it: it can be read as a psychological close-up; a noir-ish slither through the forbidding desert world of first-century Judea, stopping to wallow in some famous episodes from Jesus’s life; and an argument for how a charismatic mortal could have been transformed, with his own assent and cooperation, into a god. But the book is seductive enough, its interior world totalizing enough, that it achieves a kind of instant canonicity. Even someone familiar with the New Testament may have trouble, a week after closing the cover of The Testament of Mary, remembering which versions of Jesus’s story come from the gospels of Matthew, Mark, Luke, or John and which from Mary—or, rather, Colm. Tóibín has played this game before, subtly adjusting our perceptions of historical figures through fiction, most prominently with The Master, a fictional account of the life of Henry James, written in an entirely successful pastiche of James’s writerly voice. For The Master, Tóibín drew on many of the great nonfiction accounts of James and his family, such as those by Leon Edel and R.W.B. Lewis. I was defeated by these books, but Tóibín’s imagined scenes gave me a vivid picture of the life of James: the repression, the extraordinary (and selfish) work ethic, the unspoken guilt over avoiding Civil War service, the frustrated night spooning with Oliver Wendell Holmes, Jr. Upon completing The Master, I felt as if I knew James, and, given Tóibín’s meticulousness, I probably do know a reasonably accurate version of him. Of Mary, Jesus’s mother, no biography is possible, and she is a fairly minor figure in the New Testament. But for Tóibín, that is an argument for, not against, reimagining her. Tóibín sees Mary and James as somewhat similar souls, shy, rather weak figures, endlessly deferential, misanthropes, their own lives absent of joy but ultimately the cause of joy in others. James was watchful rather than alive, refusing to live so that his novels might. And Mary? In this telling, she dies inside when her son dies, so that we might live. But there is a crucial difference between imagining Henry and imagining Mary. New Testament figures do not really have interior lives. They are mythical types, who compel us mainly because they animate parables that are extraordinary and moving (and because, in the King James translation anyway, the prose is so good). So there is an incongruence between the embittered but fully realized personality Tóibín gives Mary and the famous plot he marches her through; it is as if the spinster post-war Irish landlord from Tóibín’s last novel, Brooklyn, has time-traveled to the scene of the crucifixion. I don’t want a Mary this contemporary and human—just as I do not want a Jesus who hikes up his shorts. Speaking to her visitors, she allows that she misses her son, but misses him as a boy more than as a worshiped man. To her, he will never be a god. (Whose mewling, puking little toddler ever could be?) And she does not hide her disdain for his followers: “He gathered around him, I said, a group of misfits, who were only children like himself, or men without fathers, or men who could not look a woman in the eye.” Her boy Jesus “could have done anything … he was grateful, good-mannered, intelligent.” But he chose to shine his light on a ragtag bunch of losers, and they pushed him toward a glory he did not want, until at last, consumed by their admiration, he did. And so, Mary recalls, her son becomes so arrogant that he disrespects his mother. She cannot get close to him, always has to deal with his followers instead. Even his diction began to separate him from her: “he had begun to talk to others, high-flown talk and riddles, using strange proud terms to describe himself and his task in the world.” Mary does not buy the story of her son’s turning water into wine. As she remembers it, there was wine in some of the containers, water in others, and “in all the shouting and confusion no one knew what happened.” Mary is just as skeptical that her son raised Lazarus from the dead. By the end of this testament, Mary seems to have slipped from melancholy into a minor senescence, as if the telling has sapped her strength. As the testament leaves off, the disciples have just tried to persuade Mary that she held her son’s crucified body. But the shameful truth is that she fled his crucifixion to escape the Romans. She tells them as much, but she knows that her truth is useless to them, and so they will proceed with their lies. Her son is dead, and in a sense dead to her before he died. She has little use for the religion they will make of his memory. And she has little use for her religion, either. “I do not go to the Synagogue now,” Mary writes. In the end, its differences with New Testament gospel are not what distinguish The Testament of Mary. The biblical redactors were never troubled by a little discrepancy—there are, after all, two totally different stories of how God made Eve—but they insisted on a certain hopefulness. Mary’s cynicism about the process of redaction itself, her belief that the story of Jesus got queered, then scraped into parchment by unscrupulous scribes, would have to be silenced, ignored, called heresy. In this attention to the power of language in mythmaking, The Testament proffers an exhilarating challenge to the very concept of the gospel. Most of us smugly discount L. Ron Hubbard’s religion, manufactured some fifty years ago, and Mitt Romney’s religion, dependent on some hearsay and rumor less than two hundred years old. Why we would ever think that reports two millennia old are any more reliable is a live-wire question.